Gov. 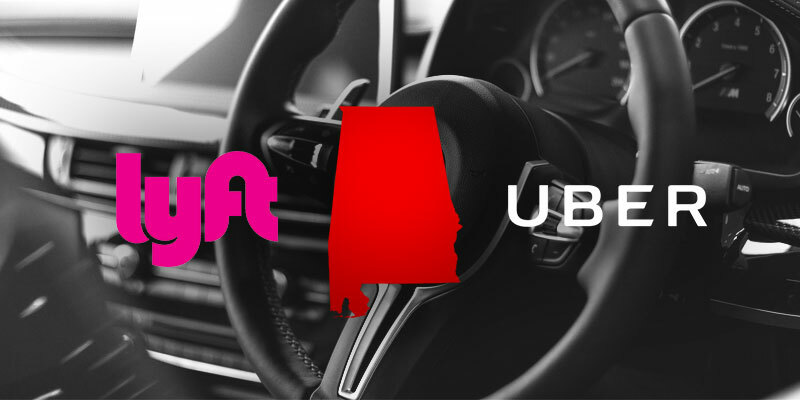 Kay Ivey and a pair of legislators today will unveil plans for statewide regulation of ride-sharing companies like Uber and Lyft, which currently operate under a hodgepodge of local rules. State Sen. Bobby Singleton (D-Greensboro), Rep. David Faulkner (R-Mountain Brook) and supporters plan an 11 a.m. news conference at the Alabama State House in Montgomery to discuss a soon-to-be introduced bipartisan bill that would set statewide rules to regulate ride-sharing companies. The legislation would put the Public Service Commission in charge of overseeing the industry in Alabama. Currently, Alabama is one of just six states that do not have statewide regulations for ride-sharing companies. Faulkner said in an interview that ride-sharing companies serve only 11 cities in the state. He said statewide rules would relieve drivers and riders, alike, of the headache of navigating differing rules or a complete prohibition on service. “The reality is that it’s not going to expand to other parts of the state (without uniform rules), and we need it to,” he said. Faulkner said the bill offers “two huge wins” for Alabama. Uber and Lyft have the potential to be an important source of both income and transportation in rural counties without public bus systems, he said. He added that an Uber car might be the only means of transportation in some places. “A lot of people don’t have family that can give them rides places,” he said. Faulkner said the bill has the support of Mothers Against Drunk Driving and an advocacy association for the blind. The bill also has the full backing of the governor, who will attend the news conference. TechBirmingham, which is charged with promoting technological innovation in the Birmingham region, also backs the legislation. Gordon also noted the complexity of dealing with different and sometimes conflicting regulations — particularly in a place like Jefferson County, which has 37 municipalities. “It creates a patchwork where you have to go to Hoover. You have to go to Birmingham. You have to go to Homewood,” he said. Gordon said he believes Uber, Lyft and similar companies are in Alabama to stay. He said people in the Birmingham metro area at this point could not imagine life without them and that it also is an expectation of travelers who visit the state. “When they get off an airplane, they are expecting to pull up their phone and order an Uber or Lyft to get to their destination,” he said. Uber has come under fire in communities across the country by critics who accuse the company of lax hiring standards, exploiting their part-time workers and unfairly competing against traditional cab companies that have to follow regulations from which ride-sharing companies are exempt. Faulkner said the bill he and Singleton are offering does not deal with the allegations of unfair regulation. He said it regulates a transportation network, not the vehicles, which are property of the drivers — not the companies they work for. But Faulkner said the bill does address public safety concerns, mandating criminal background checks. “One thing we’re not going to to do is compromise safety,” he said. Gordon said it is important that Alabama support and cultivate technological change and stay ahead of the curve. UPDATE: Link to the ride share campaign’s website added here. Brendan Kirby is senior political reporter at LifeZette.com and a Yellowhammer contributor. He also is the author of “Wicked Mobile.” Follow him on Twitter.